It's St. Patrick's Day and the sun is shining here. It's reflecting off the remnants of Stella's snow causing streams of water to run across streets and make the grass all squishy. The biggest casualty in our neighborhood was the pink cloud of cherry blossoms that now resembles old dingy satin lingerie that you might find in a vintage clothing store. It's quite sad. I'm not sure how the Tidal Basin will look over the coming days. Those trees hadn't come into full bloom yet, but the buds were there just anticipating the perfect warm day to explode open. In 4 weeks it will be Good Friday. Families will be finishing up spring breaks and taxes. We will be celebrating the ultimate finishing of the saving work of Christ on the cross. The destruction of the cherry blossoms at the peak of their beauty seems fitting in the light of Easter. I know this, there will still be life - the leaves will come forth from the branches just as Jesus came out of the grave. It was looking pretty bleak on that Friday. It's looking pretty bleak on the limbs of those trees. BUT - I know it's not the end of the story. How do I know those leaves will come out? There's no evidence, but I have faith. Faith that is strengthened because I think back to the fall as the leaves changed color and dropped. I think to the summer before that when the deep green was so thick it was a screen against the outside world. I think to the months before summer when color first peeked from the dark brown twigs. This is going to happen again, and I know it so my faith grows HOPE in me. No need for despair, only patience. What's my point? I don't know exactly. It think it has to do with the PEACE that I have because my HOPE is rooted in FAITH that isn't without foundation. Friends, this peace is not confined to whether or not there will be leaves on the cherry trees. This peace encompasses every aspect of my daily life - tho it can waver under heavy storms - and the promise of life to come with Christ for all eternity. If you don't have this, I pray that you would look to the author and perfecter of our faith. If you don't feel like you have the strength to look for it or the wherewithal to grow it, ask Jesus to simply show you - to give you eyes to see and a heart to understand. Start there. This world has plenty of trouble and could be issued warrants for "Disturbing the Peace" on an hourly basis, but that doesn't mean we have to be the victim. We can have peace, and hope, and faith - on St. Patrick's Day, Easter, or any given Friday. Have questions? Feel free to email me or just click HERE. Thanks for reading. I know it's been a while. Hello there. It's been a while. It's been a long hot summer, and I don't think we are completely done yet, but it's finally a day where jeans won't send you automatically into Profuse Sweating mode. It's delightful to even ponder if I need a sweater - and not just for the A/C in restaurants. I always take a sweater for that! This summer also seemed insanely busy, although doing what I'm not quite sure. There were days to the pool, a trip or two home, and a vacation that was too early to make a difference 3 weeks before school started. Remind me to wait a little longer next summer, will you? Thanks! Now that school is in full swing I'm returning to myself a bit. I'm starting to feel a bit settled and craving a routine to fill the days that aren't fueled by chaos and sunscreen. I'm looking at a calendar and being intentional about filling it with purpose and fun. This is where YOU come into the story. I want to put you on my calendar. I want coffee dates, and phone calls (or Google hangouts). I wanted long lunches and girls' nights out. I also want to fill the empty planner squares with HOPE, specifically Trades of Hope!! I've been with Trades of Hope for right at 2 years now and honestly, I've let myself down, and in turn let down many artisans who rely on me. While my success is her success, my lack of success is her lack of success. We both deserve better. So do you! I've got a Mystery Hostess party lined up for Tuesday, September 20 over on Facebook. I'd love for you to join us. It's open to the public. All you have to do is join at this link. You can earn points by participating and, if chosen as the hostess, get all of the rewards for yourself. One of the ways to earn points is by booking your own party or even joining my team. 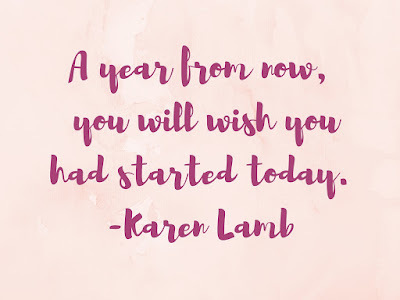 I know that seems like a huge deal with such short notice, but sometimes we feel that little leap inside at an idea and need to jump on it - at least investigate a little more. I'm in the midst of a challenge to add 5 new member to my team by the end of the year. While we will all benefit from this, the big winners will be a group of 500 Pakistani women in bond slavery waiting for opportunity to come to them. We are that opportunity. We can unlock their freedom. 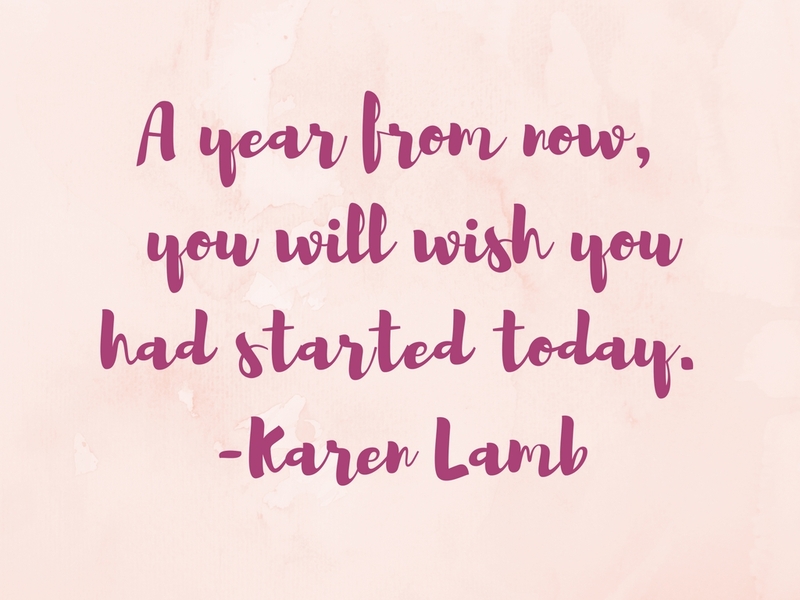 Let's talk and see what opportunities are headed your way! How would you like to be involved in changing lives? Did you have that dream when you were a child to be the next great ballerina, MVP athlete on the box of Wheaties, movie star, racecar driver, or Grammy winner? Did you plan at the age of 7 to walk across a stage to accept that special award while the throngs of fans threw roses at your feet and were cheering wildly for you? What happened? Often the difference between having a dream as a child and living that dream as an adult comes down to the grit and dedication to making the vision materialize. It is one thing to spin and twirl in a living room in a dress up costume. It is entirely different to spend hours upon hours stretching, perfecting technique, rehabbing injury, and turning critique into improvement. When personal trials aren’t allowed to translate into derailment, but rather become fuel for the fire, achievement becomes experience and the springboard for success. This is the story of Tamika Catchings. In Catch a Star, Catchings tells of a childhood dream to play in the NBA. This isn’t an unfamiliar dream, except she was a girl, living overseas, with a hearing impairment. Sure she had natural talent and genes from a pro-player dad, but that won’t take you far without work. And work is what she did, year after year, season after season, injury after injury, and opportunity after opportunity. This all added up to a cumulative 3 gold Olympic medals, a WNBA championship, a NCAA championship and state championship – along with many other national, conference, and tournament acknowledgments. 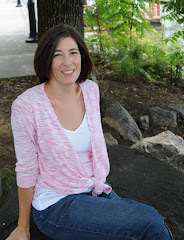 As the resume and pressure to perform began to grow, so did her faith and reliance on God. Are you the parent of the child with big dreams – realistic, or not? This is a great book for both of you. The book reads like a fast-paced basketball game charging up and down the court. Action shifts between life off and on the court. There is the defense of dealing with relationships and the offense of the work required to achieve such a high level of excellence. Catchings tells a story of overcoming personal liabilities in a way that they have in actuality become assets leveraged to her benefit. All the while you see her humility, while sensing that she feels she has little of it. This is a rare book that the whole family can read and enjoy while learning some great life lessons. While the writing may not be of the same style as many classics, which also lends to it’s accessibility – especially to those boys who would dare read a book about a girl! Give Catch a Star a shot and see if the enthusiasm isn’t caught as well. Disclosure: I am a proud member of #VolNation and can often be found using #GBO in Twitter, Facebook, and Instagram posts. As such I am prone to extra support of fellow Alum (especially those who wind up in Indy – hello, Peyton!) so I had skin in this game. Also, Revell was kind enough to send me a copy for review. That being said, these are entirely my own opinions. I have included affiliate links in this post as well. They do not cost you anything, but proceeds may be used to add a little more orange to my wardrobe. Go Vols! 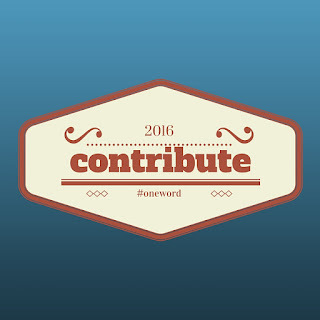 My #oneword for 2016 is CONTRIBUTE. I want this year to make a difference: to me, my family, my church, my community, my world! I want to be integral in that change through the contributions that I make with my time, effort, prayer, and yes, my money. Not much will happen without some input on my part. Don't get me wrong, God's actions are not constrained or dictated by my whims or maneuvers. But, I may become part of His work by seeking and serving - this is my contribution. My health and fitness will not improve if I am not intentional about caring for this clay temple. I must decide what to eat, when to eat, where to eat, and how much to eat. The same goes for moving. Each exertion can be calculated either to the positive or the negative. These assets and liabilities determine where the needle of the balance falls - literally! My business will not flourish if it is left untended. I must work each day to pursue leads, hostesses and recruits to further the mission of empowering women and men around the world out of poverty. We must work together and support each other if advancement is our goal. To that end, if you are reading these words I would also like for you to consider how you can be involved with Trades of Hope this year. Maybe you need to purchase gifts. Might I suggest shopping here first? Would you like to host a party either in your home or online to spread the work and beautiful jewelry, accessories and decor items offered for your friends? You may have been looking for your own way to contribute to the financial well-being of your family and others this year. Let this be the sign you were looking for. 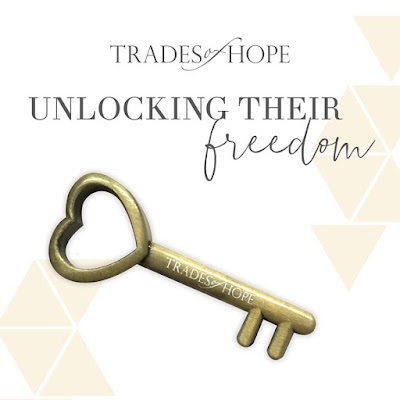 I'd love to speak to you about getting started with Trades of Hope. My church and my community are inseparably linked in my mind and my heart. What is good for one is generally beneficial for the other. That's how the local church should work. On that front, I will be leading a neighborhood Bible study on Thursday mornings in my home for local women. I humbly ask for your prayers that God would bring together exactly who He desires for fellowship and growth as we study His Word. My husband and I are also working with a new marriage strengthening ministry called re/engage. If you are in the DC metro are and want to go from "simmer to sizzle" in your marriage, this may be just what you are looking for. 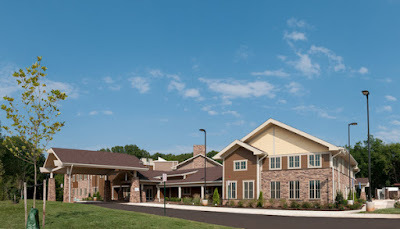 You can visit www.marriagehelp.org to find a local church if you are far from here. A primary ministry of our church is Jill's House. 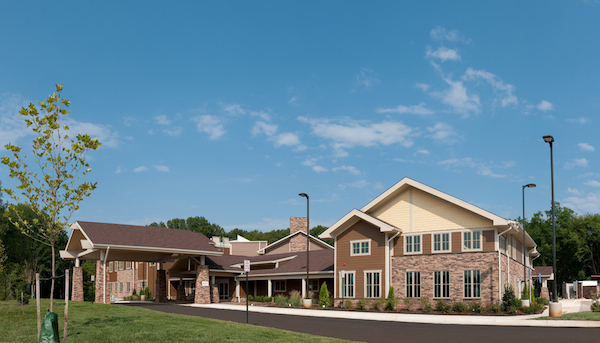 This is a respite center for families of children with special needs. Please go check them out and see for yourself the wonderful work they do and what they provide for the children and families. This month I am hosting an online party to benefit Jill's House. 100% of my commission from this party will go to Jill's House. You are vital to the success of this work. Without your contribution, I cannot make a contribution. See how that works? We are all in this together. Go to my Facebook event to join. Do you have a "one word" for 2016? I'd love to hear what it is in the comments. Let me know if you joined that party as well. Let's all make a positive contribution this year.